What Size Community is Best? 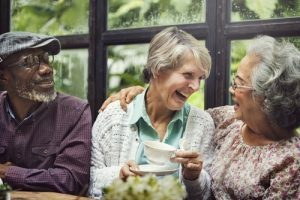 Small, medium, or large—which Senior Living community is the right fit for your parent? There is no one correct answer to that question. While a big sprawling community with upwards of a thousand residents might feel like home to one person, a more intimate setting that houses less than two dozen residents might be best for another. Some would be perfectly content in a 100- to 200-unit community. It really depends on the individual and their preferences. Personal preferences are often determined by past living experiences. People who lived in a more urban environment throughout their lives might like a large community with more people and the opportunity to make more friends. If they lived in more rural or suburban areas, and they feel more comfortable in a smaller, more intimate environment, then that’s what’s going to benefit them the most. For some seniors, a smaller community is better than a large one to serve their specific care needs. This is true particularly for Memory Care residents. Typically a smaller community is best because people with memory loss need a more intimate environment to feel more comfortable. Cost is another factor that families typically consider when making a decision about what size and type of community is best for their parent(s). For example, many of the large CCRCs have swimming pools, golf courses, and several dining rooms from which to choose. A mid-sized community will not have as many amenities, but the price will be mid-tiered accordingly. Have a conversation with your parent(s) about their senior living preferences—and do so sooner rather than later. They need to have the conversation early on to understand and explore what their parent would prefer, and what are the options available to them. A lot of families wait until an emergency happens, and they haven’t had the opportunity to uncover what the senior wants in term of a living environment. The senior may not want to live in a larger environment or a smaller environment, but they’re forced into a situation because the family has to move so quickly. By starting their search earlier, families will have enough time to explore various possibilities by taking a tour or even arranging for an overnight visit. In a Senior Living community—small, medium, or large—the opportunities for interaction put these concerns to rest. Whether you’re going to be living in a community with 20 other people, 40 other people, or hundreds of people, you’ll be making friends and choosing the activities that interest you the most, and that’s where I think the biggest benefits lie.